The next National Genealogical Society Family History Conference will be right here in Grand Rapids. As the local host society, the Western Michigan Genealogical Society has been preparing in various ways – planning for promotion, assisting NGS staff with local arrangements, and recruiting volunteers. One of our values is partnering with people and organizations from all over Michigan and the Great Lakes region to be part of the effort to welcome genealogists and family history fanatics to our area. We’ll be posting updates more and more as May 2018 draws closer. This article invites those who enjoy writing to participate by telling others about the 2018 conference, the various resources we have in Michigan, and sharing details about what visitors will find here. The early articles are identified to cover area repositories, special collections, and local attractions for visitors. Each article should be 400 words or less and focused on a specific subject and include at least one photo or image. Include all basic information such as locations, hours of operations, costs, and phone numbers as applicable. Looking ahead, there will be more specific topics as we get closer to the conference in May. 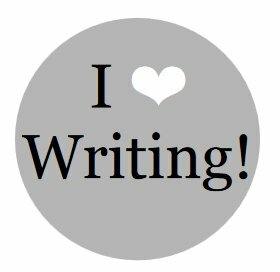 Would you like to help write? Have questions? We’d love to hear from you. Please leave a comment or send an email to webmaster@wmgs.org and we’ll get back to you. #1 | Written by virginia christensen about 2 years ago. #2 | Written by Don about 2 years ago. Thanks Virginia. I’ll ask one of our volunteer coordinators to connect with you.